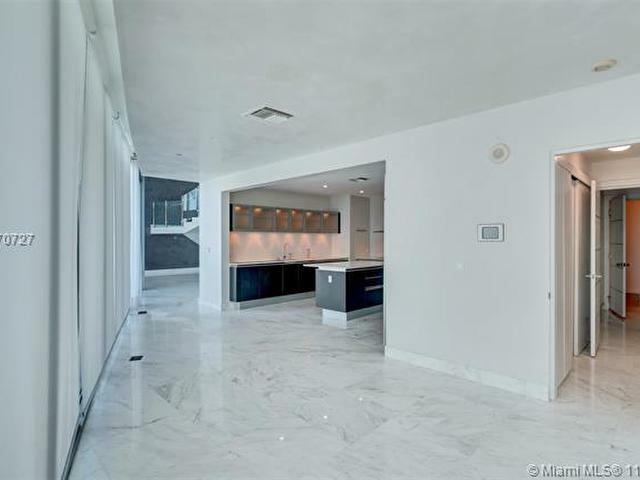 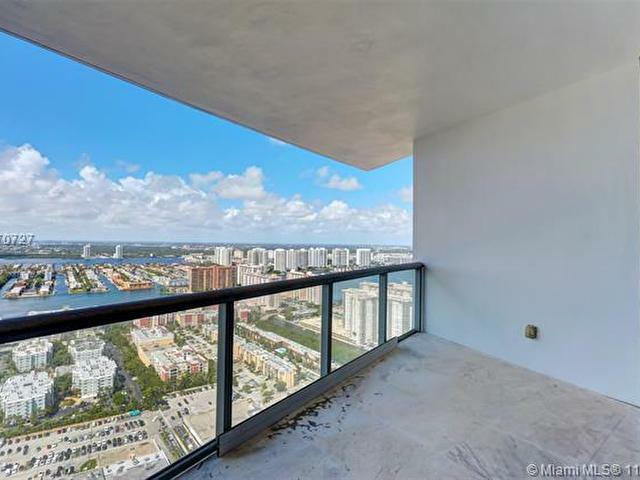 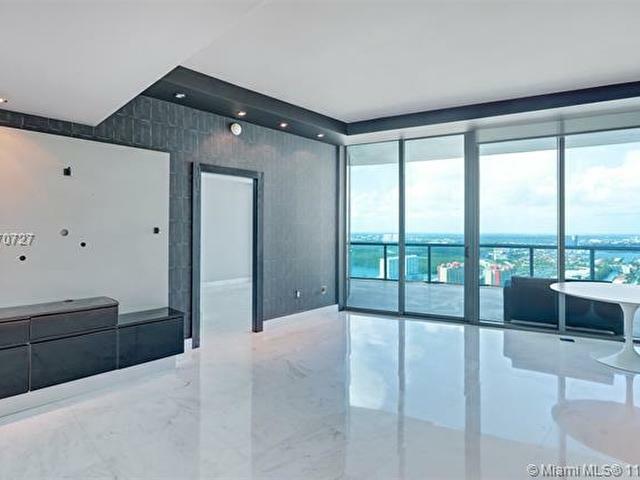 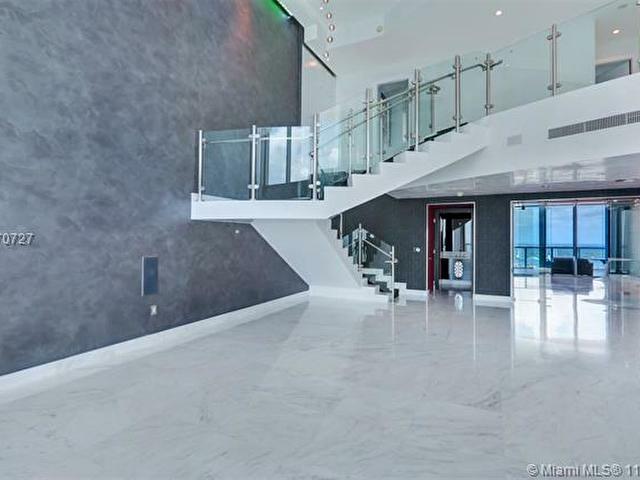 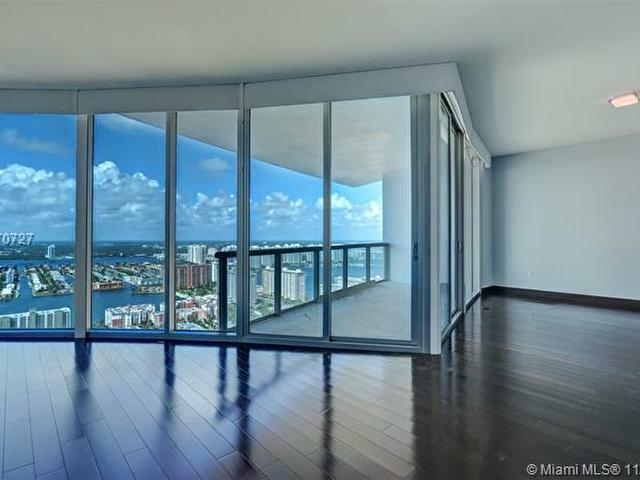 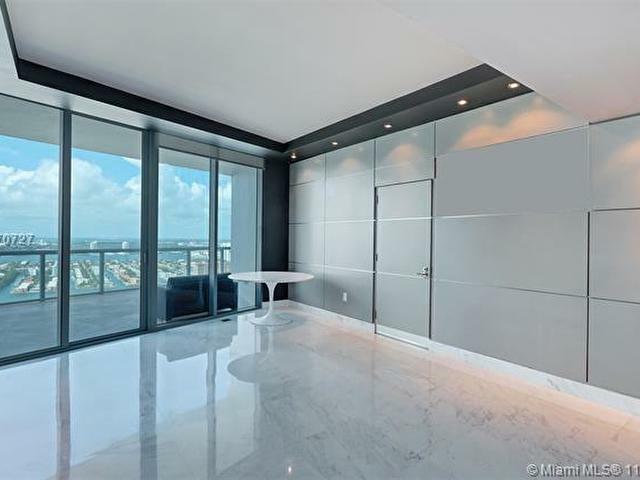 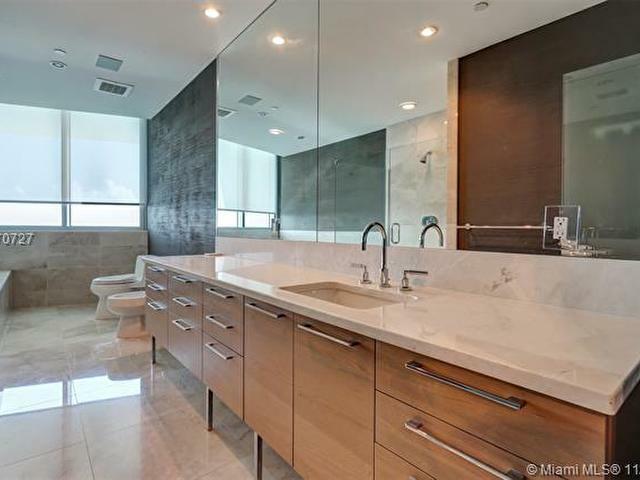 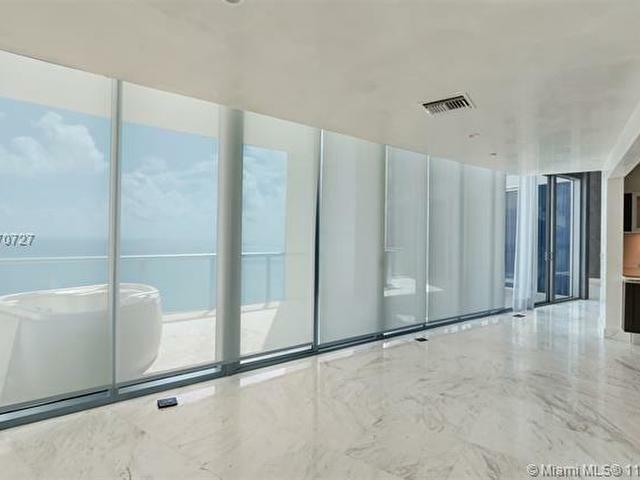 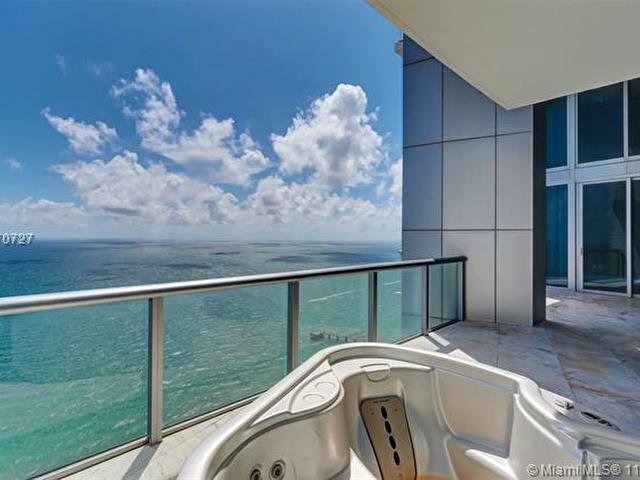 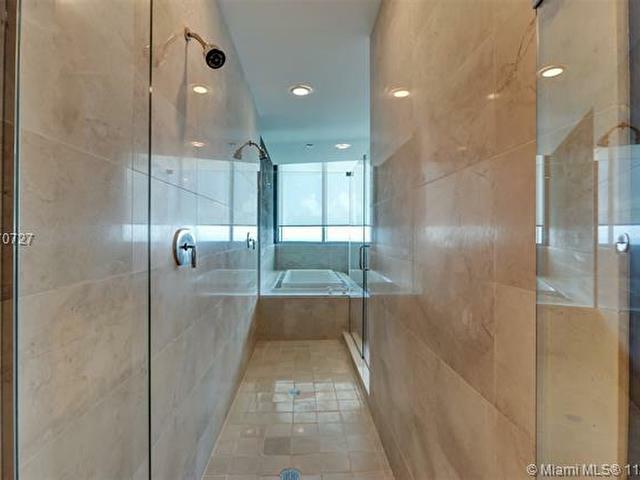 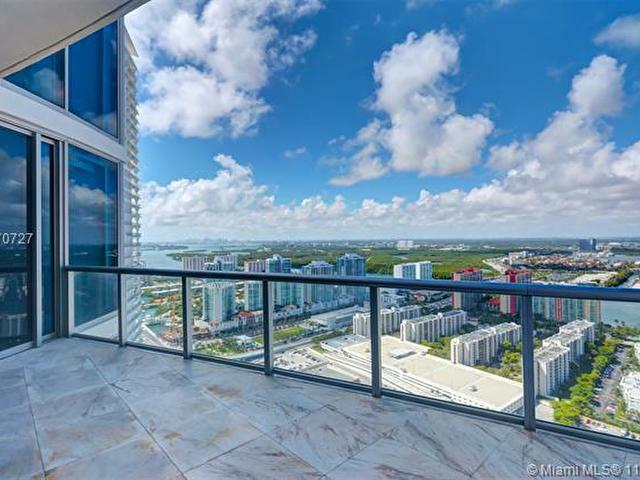 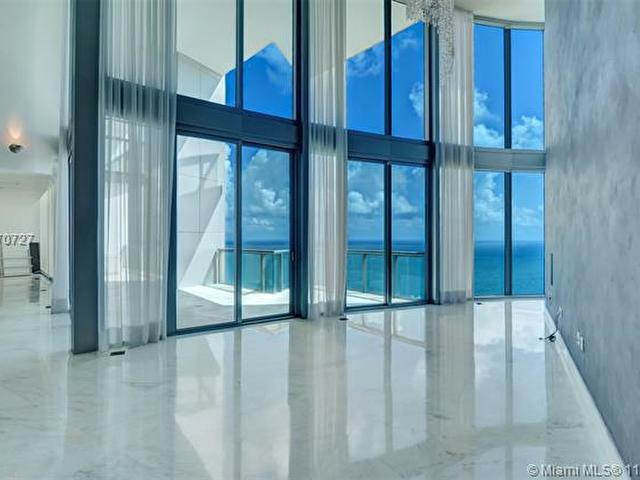 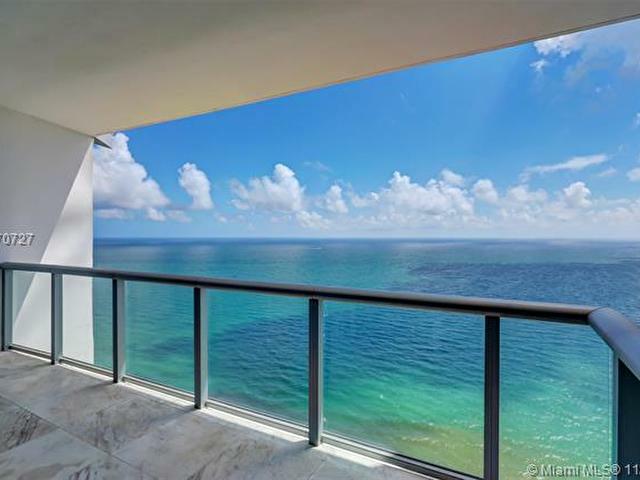 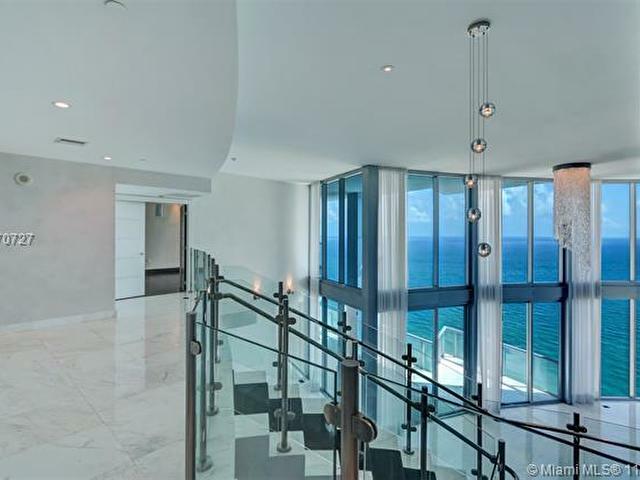 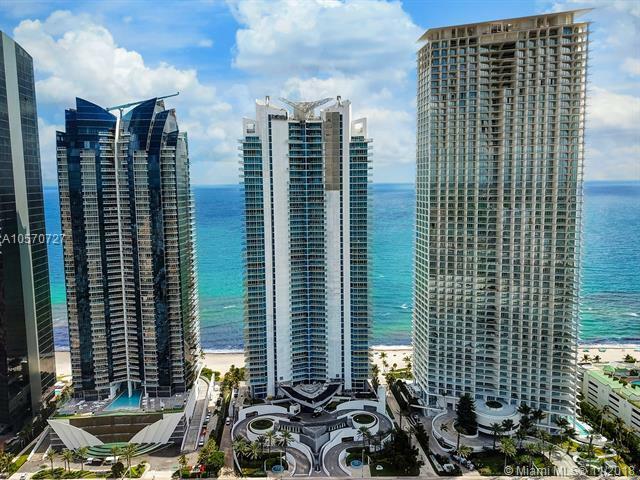 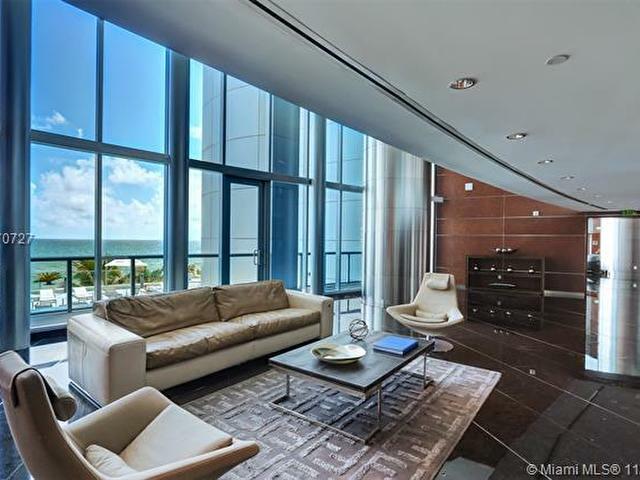 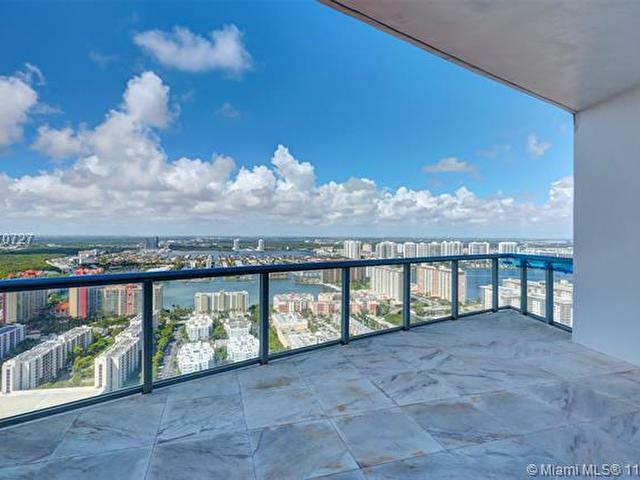 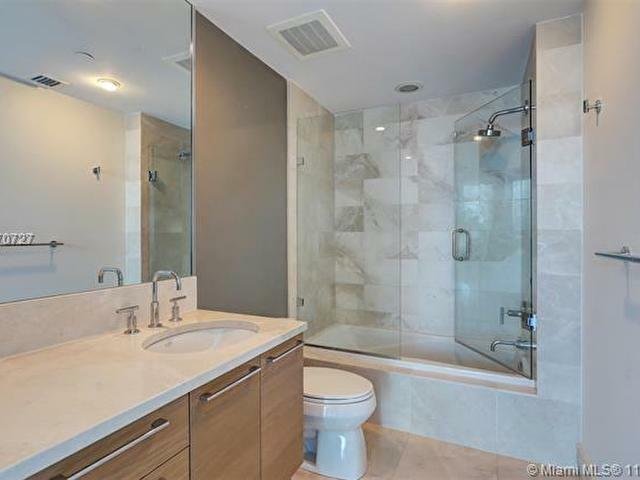 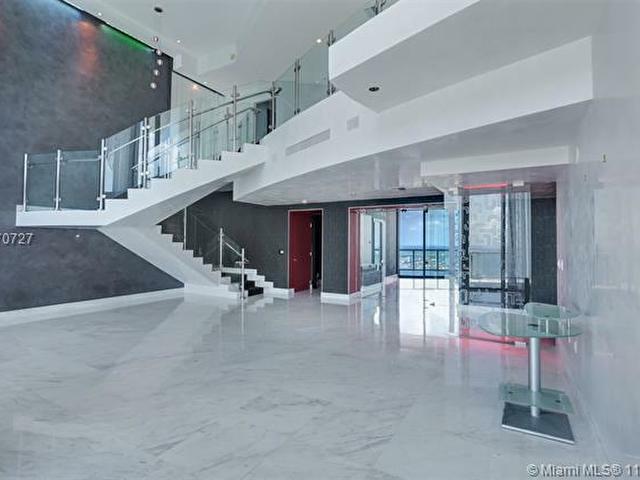 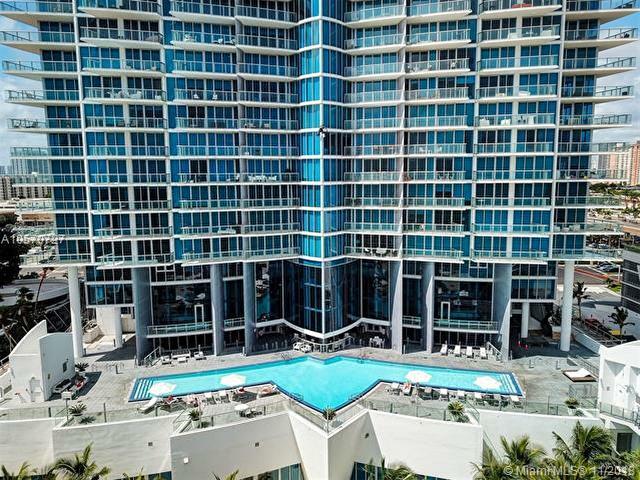 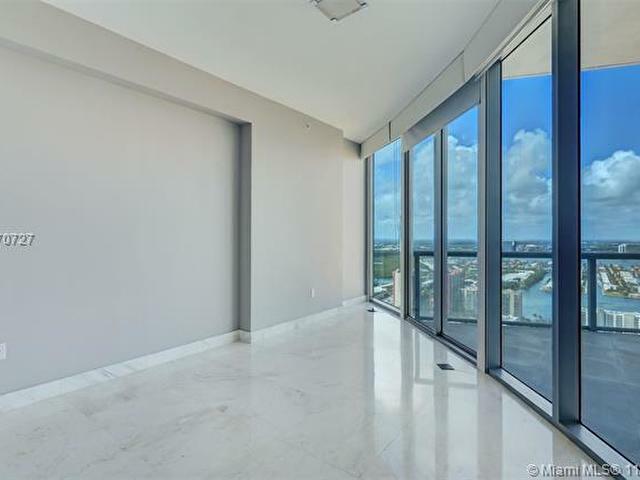 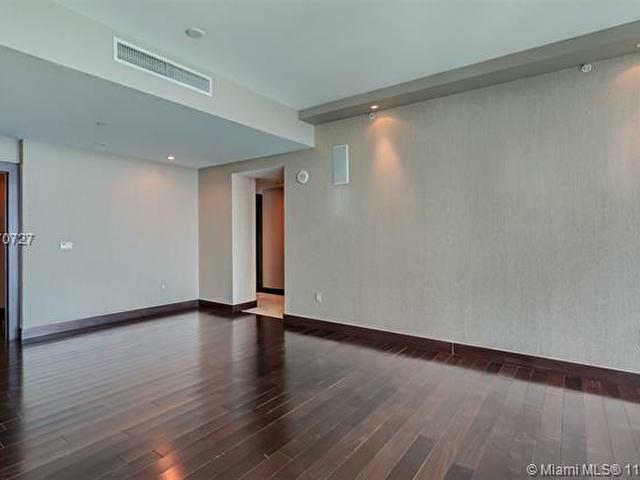 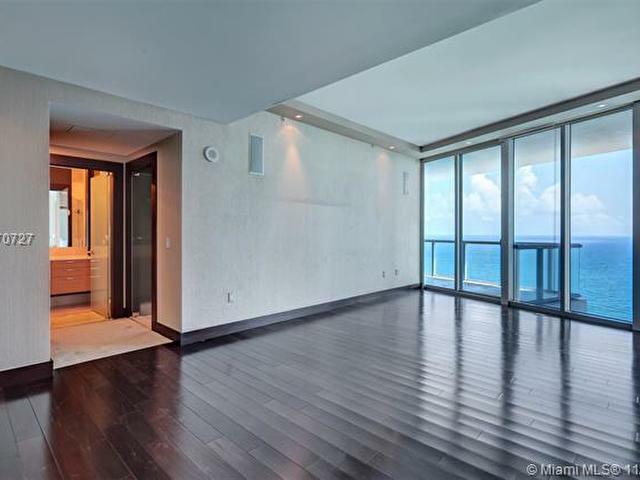 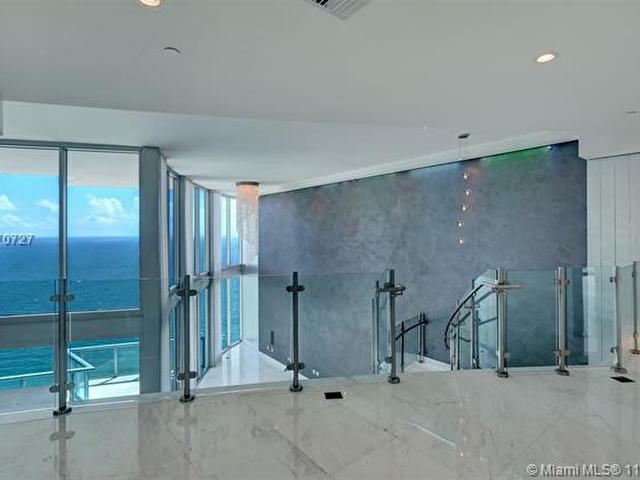 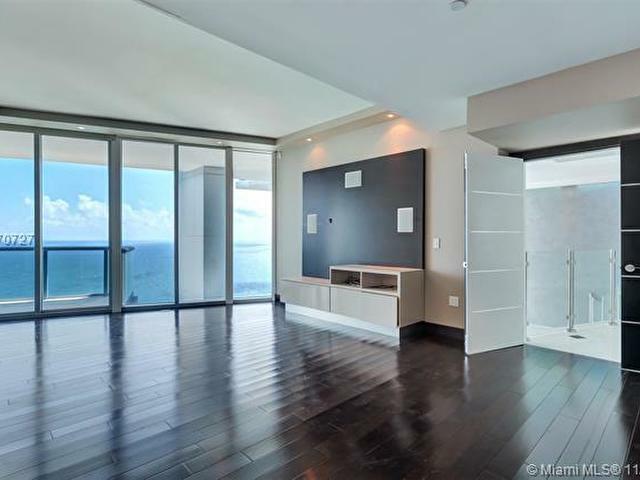 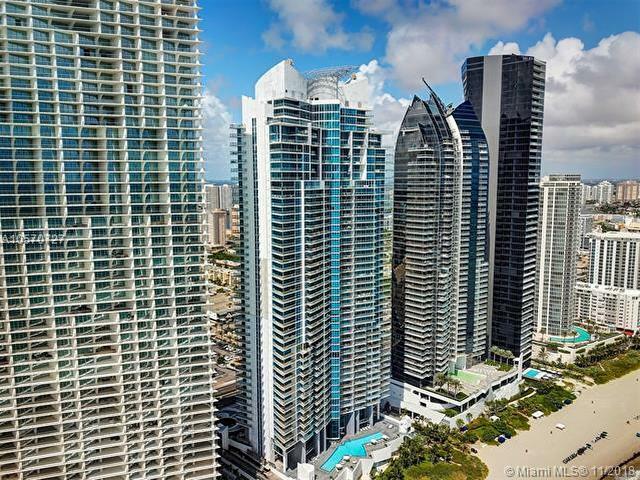 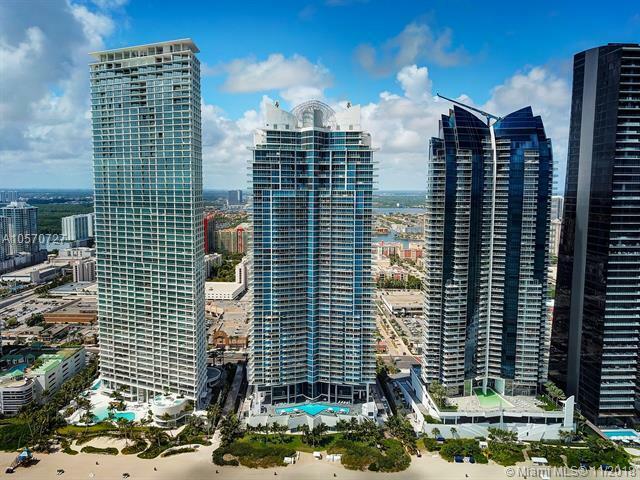 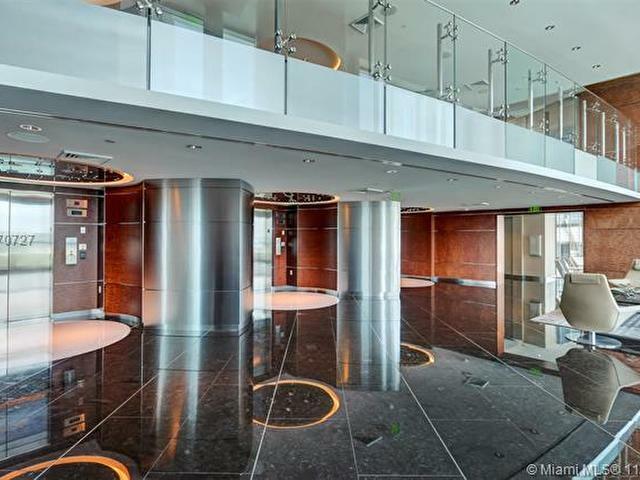 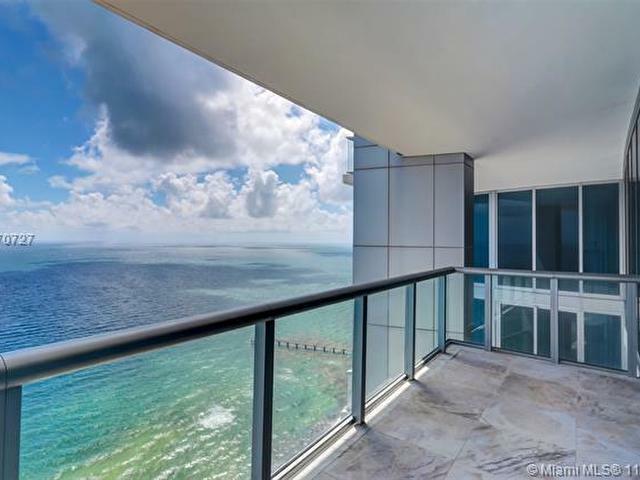 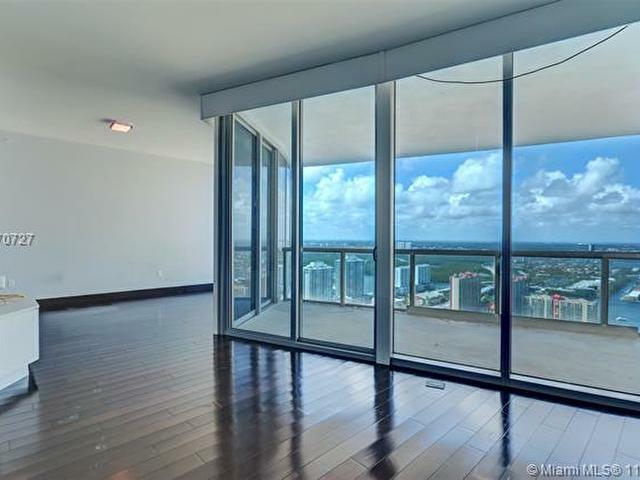 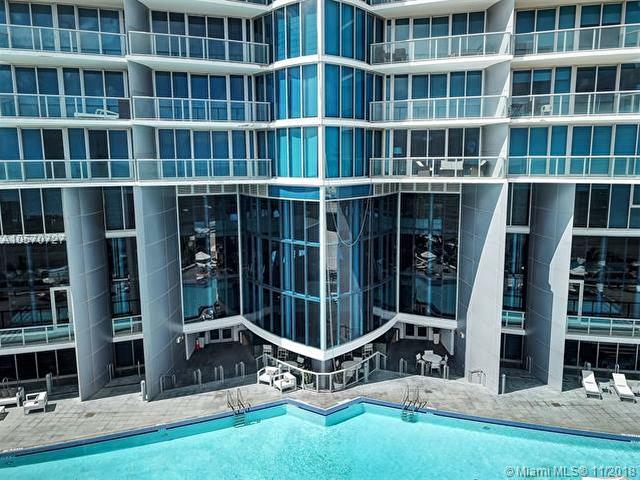 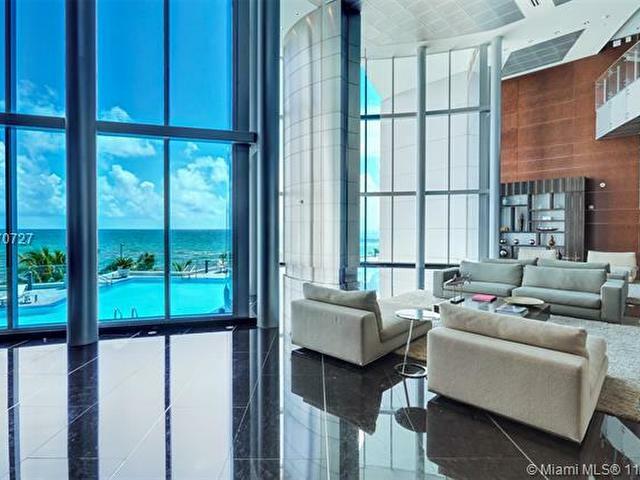 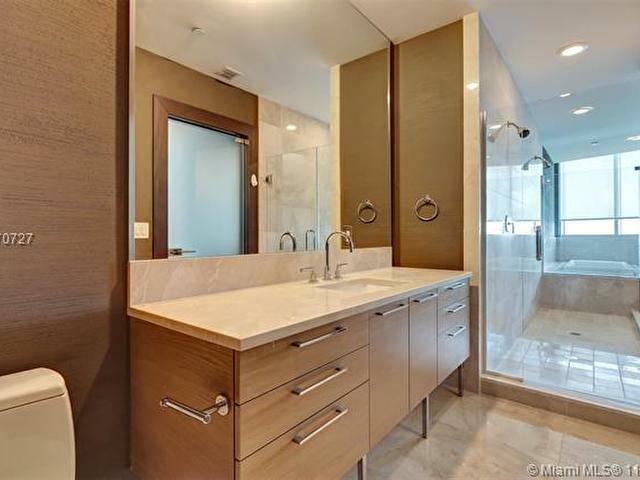 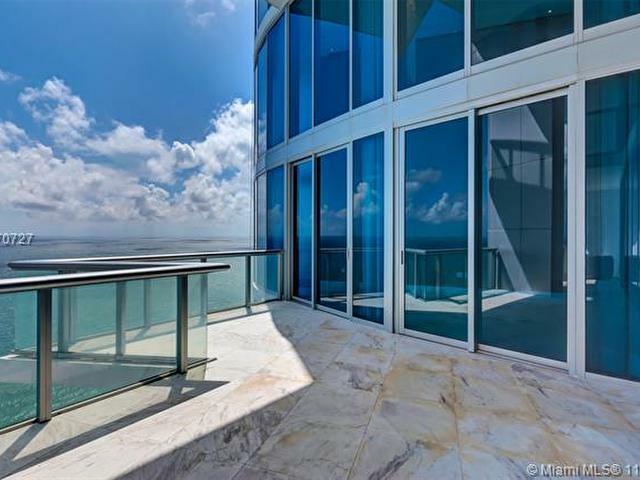 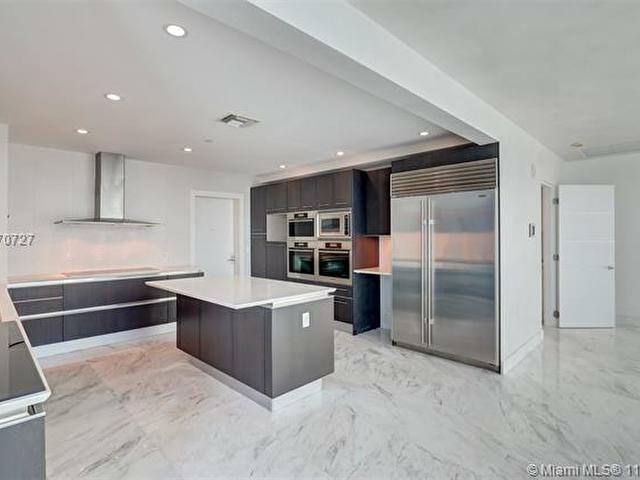 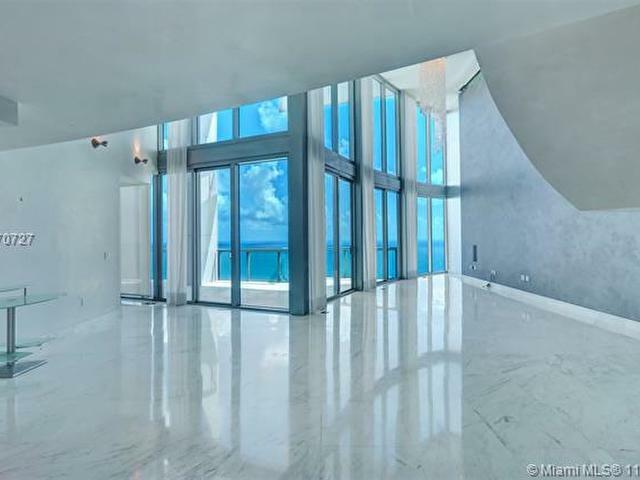 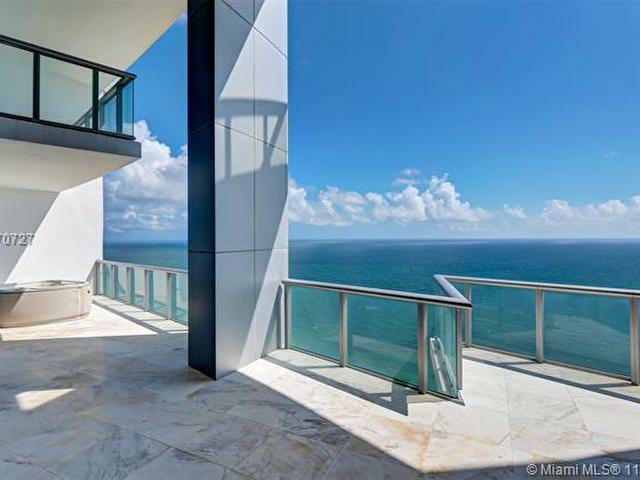 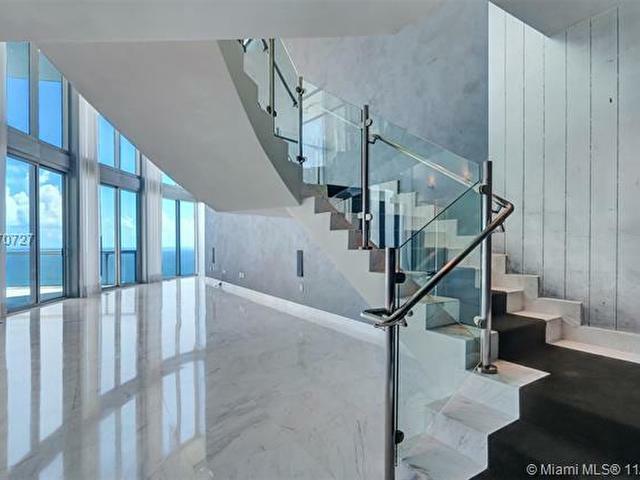 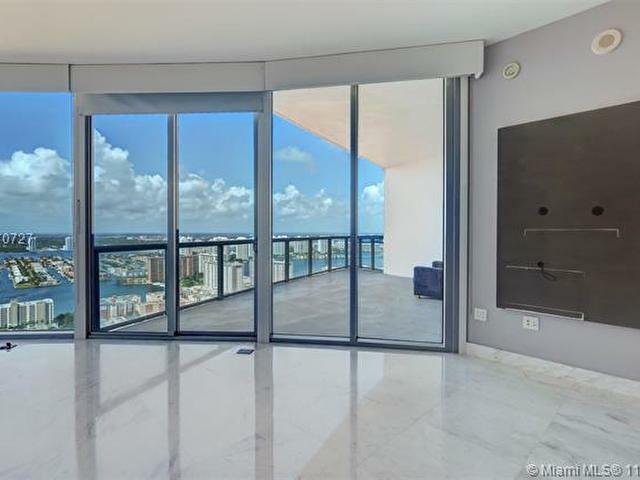 PRIVATE ELEVATORS TAKE YOU TO THIS 45TH FLOOR 2 STORY PENTHOUSE, WITH 22 FEET CEILINGS, FEATURING BREATHTAKING VIEWS OF DIRECT OCEAN AND INTRACOASTAL WATERWAYS. 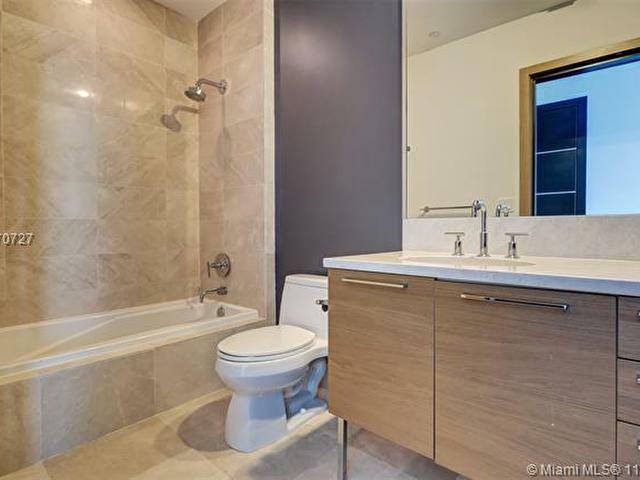 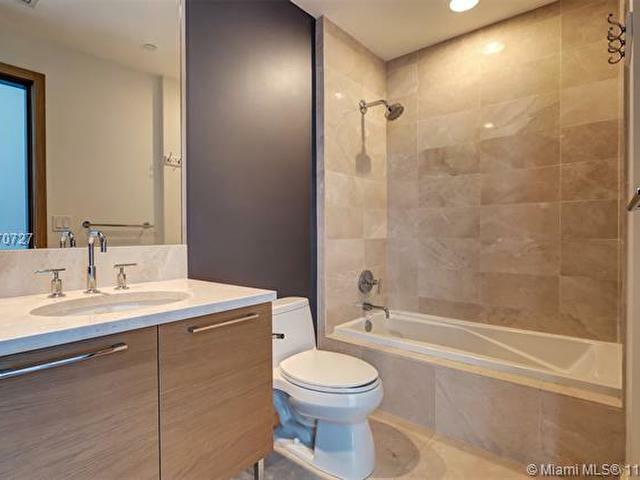 FLOW-THROUGH UNIT WITH GREAT EVENING CITY VIEWS. 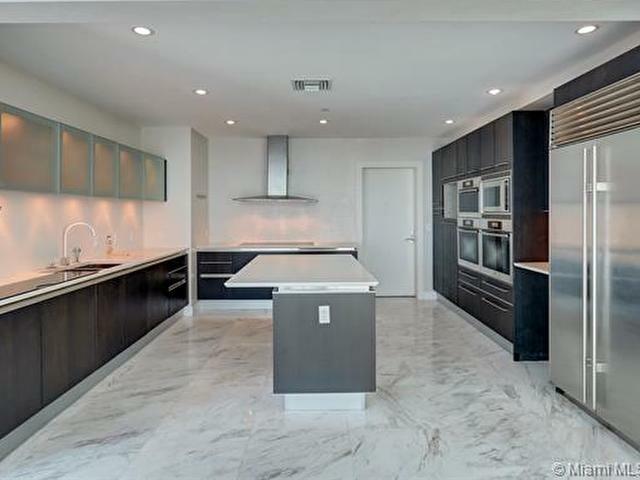 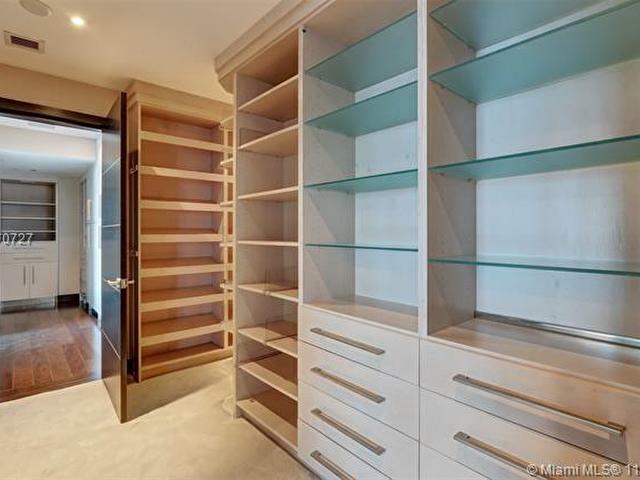 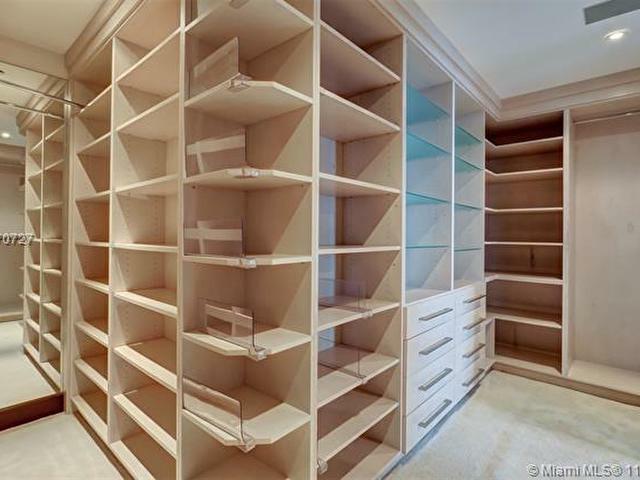 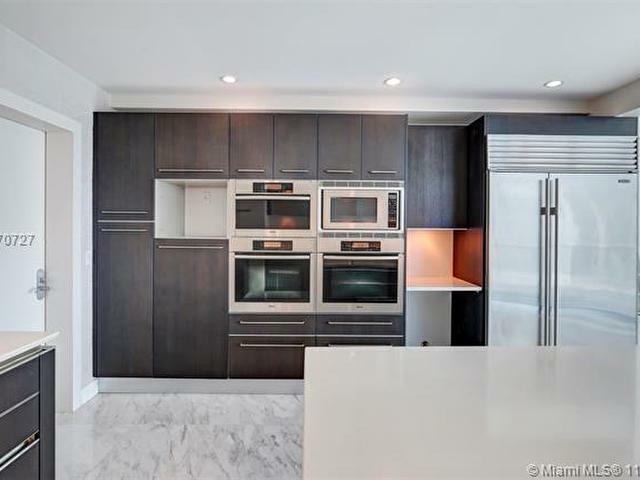 SMART HOME WITH OPEN KITCHEN, FEATURING TOP OF THE LINE APPLIANCES AND FINISHES. 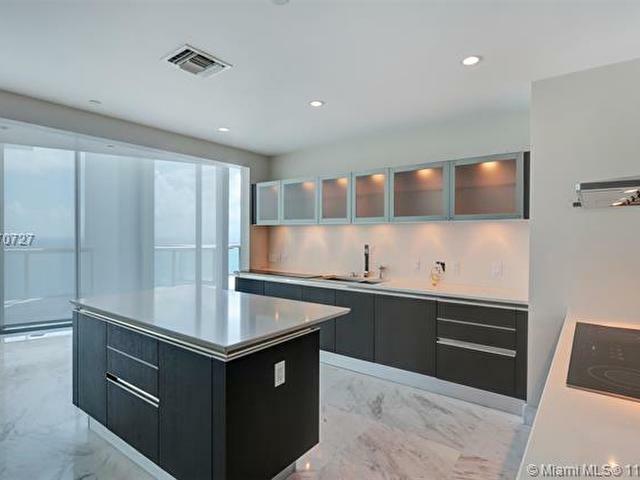 MAID QUARTER ADJACENT TO KITCHEN / LAUNDRY AREA. 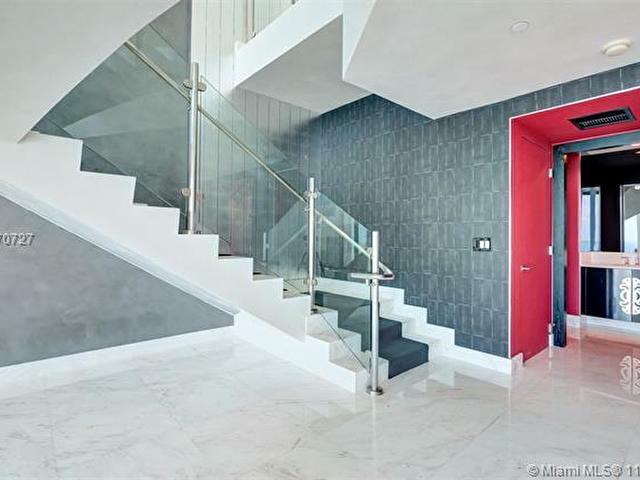 APART FROM THE LARGE LIVING AREA, THE FIRST FLOOR INCLUDES SEPARATE MEDIA ROOM/ OFFICE AND ONE BEDROOM.THE MODERN STAIRCASE TAKES YOU TO THE SECOND STORY WHERE THE MASTER AND TWO MORE BEDROOMS ARE LOCATED. 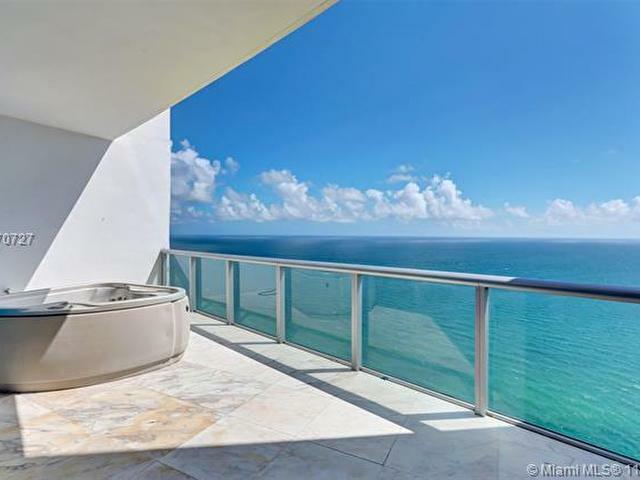 LARGE PRIVATE TERRACES EAST ( WITH JACUZZI ) AND WEST. 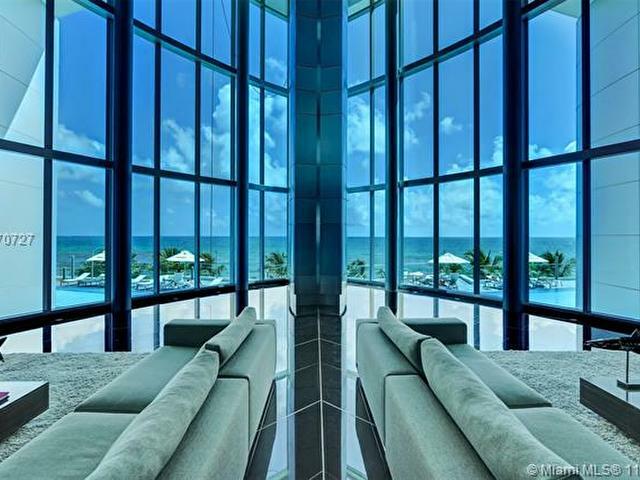 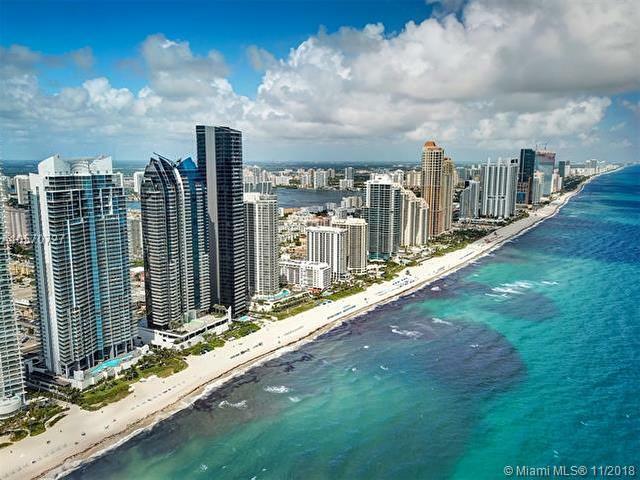 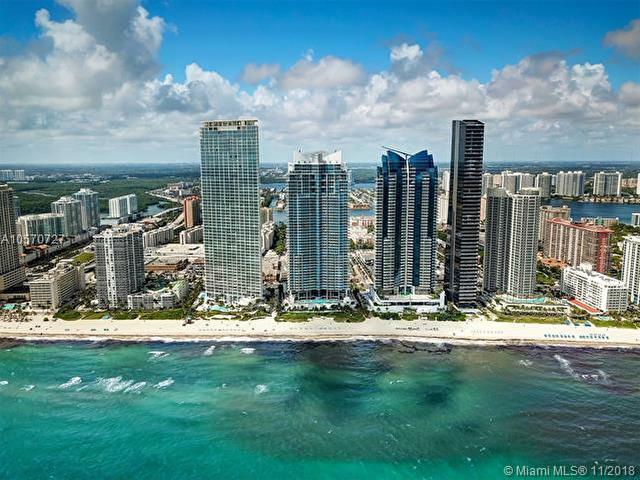 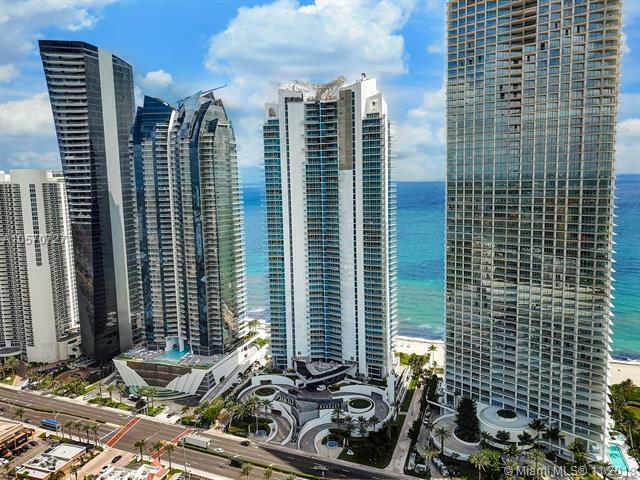 JADE BEACH BUILDING OFFERS ALL 5 STAR AMENITIES, IN THE HEART OF SUNNY ISLES BEACH.